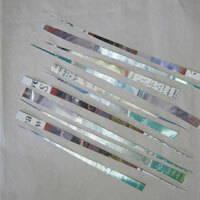 What do you do with magazines once you've read them? Chances are most people have a pile of magazines cluttering up some space, until they eventually get thrown out. 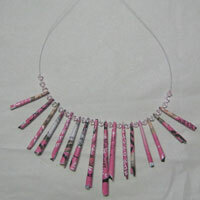 Well, a good way to put these to good use and relieve some of the strain on our landfill sites, is to use old magazines to make beautiful, upcycled paper jewellery! By reducing what we use, reusing what we do need, upcycling, and recycling something once we have no more use for it, we can all make a small difference to the health of our planet Earth. 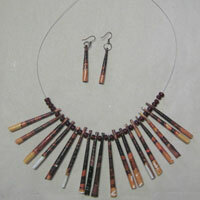 Follow our easy step by step instructions and see how easy it is to make your own recycled paper beads and jewellery! 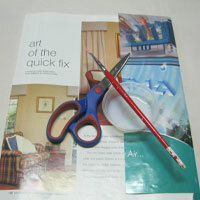 Read through all the instructions first before starting this recycling craft. 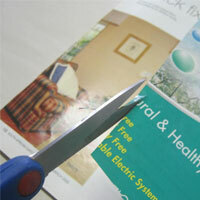 Find a page in your magazine that has colours that you like, and then cut this lengthways into straight strips about 1cm wide. 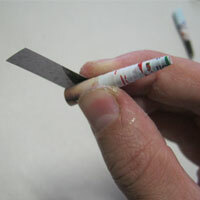 Start rolling the paper up quite tightly. 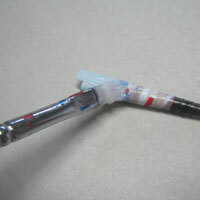 Roll it at a slight angle, so that you end up with a long spiral tube. 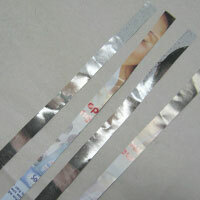 Once you have rolled up a strip, varnish the inside end of the end of the paper. 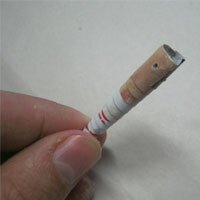 This will act as glue to stop your recycled bead from unravelling. 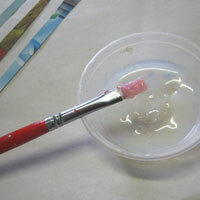 Once you have done this, you can varnish the outside of your bead for a glossy finish. 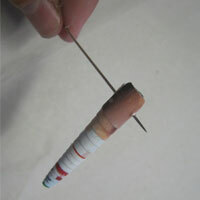 The varnish will also help protect the paper bead from damage. Your first bead is now complete. 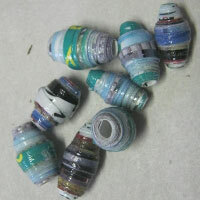 Set aside to allow the varnish to dry, and carry on making beads until you have enough recycled paper beads to make a bracelet or necklace. 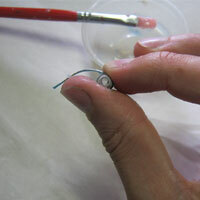 Once dry, use a pin or needle to poke a hole near the top of your bead. 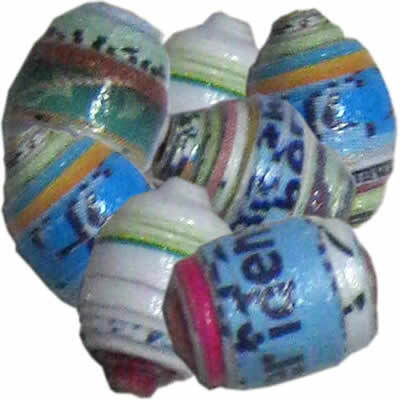 Your bead is now ready for use. 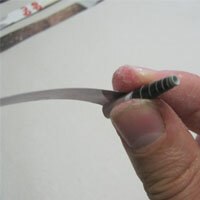 Another method of making interesting and beautiful upcycled paper beads is to cut very long, very narrow triangles. Roll the triangle up, starting at the thick end, and slowly roll it up in a straight line so that the point of the triangle is in the middle. 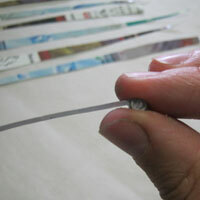 This gives your bead some texture and a pleasing shape. Varnish the end of the triangle to stick it down, and then varnish the rest of the bead to protect it and give it a glossy finish.  Once dry, these beads can be used as they are, simply thread your string or cord through the centre of the bead! 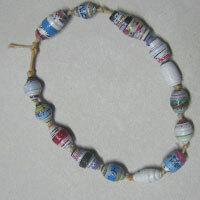 Take a look at some of our beautiful, recycled paper bead jewellery below!